The Mammal Society in conjunction with Dr Richard Yarnell from Nottingham Trent University and the PTES have published instructions for tracking the number of hedgehogs in your garden and invite everyone to submit their results. The full details of the tracking device and how to build one can be found here. The results provided will go towards the National Hedgehog Tracking Survey. We’d encourage everyone to take part so that accurate numbers of the hedgehog population can be formed – this will determine the steps needed to ensure their population levels can be maintained and not, as is feared, decline to zero by the year 2025. This entry was posted in Snuffle Lodge news on June 8, 2011 by clayts. We wanted to record a note of thanks to our friends at Nottingham’s Animal Accident Rescue Unit who we had to turn to last night to transport a critically injured hedgehog to the vet. Poor little Suzie, the victim of a horrendous strimmer injury (which was badly infected and infested) and also suffering from a broken leg, was in desperate distress and in considerable pain and needed an immediate veterinary examination and a decision to be made on whether to euthanase. Whilst ordinarily we would wait to see our own wonderful vets at Byron, the distress the animal was in forced our hand. AARU responded very quickly and efficiently, so thank you very much guys ! This entry was posted in Snuffle Lodge news on June 7, 2011 by clayts. The joint PTES/BHPS venture to encourage neighbourhoods to throw open their streets to hedgehogs and create linked gardens for our prickly friends to forage around in each night is about to go live. 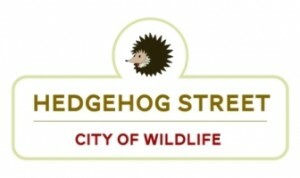 Hedgehog Street officially launches on 1st June 2011 and will also be publicised on BBC’s Springwatch programme this week, along with much press and radio coverage. 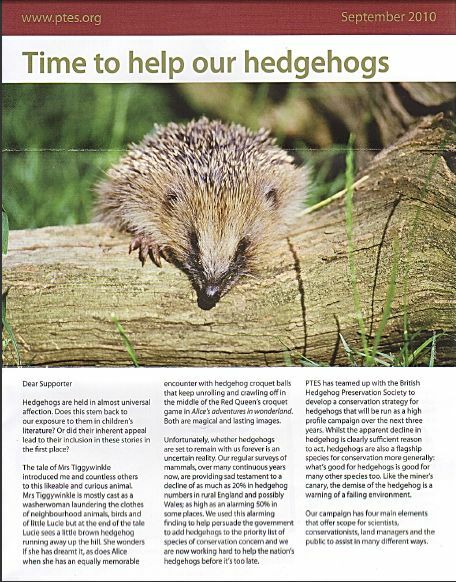 Please do support this cause – hedgehogs are currently suffering a population crash and they need all the help they can get right now. This entry was posted in Snuffle Lodge news on May 31, 2011 by clayts. Real life events have caught up with us here at Snuffle Lodge with the sanctuary’s owner Clayts securing a new job. This entry was posted in Snuffle Lodge news on December 1, 2010 by clayts. When we received a call from a couple in Dunstable we were a bit taken aback, given the distance between us and them. However, the lovely couple had picked up a hoglet scurrying around near a busy road, whilst other people just ignored it. Giving the couple advice about emergency care (heat, rehydration, a box to sleep – see here), we also gave them the number for Bedfordshire Wildlife Rescue in Houghton Regis, and via Facebook we let Sam at that centre know the couple would be in touch. We’re delighted to say that the hoglet, named Snuffles (okay, we suggested the name ! ), is doing very well, despite having a wounded jaw and several broken teeth, and has put on 100g in weight since the couple rescued him. Hedgehog carers and wildlife rescue centres up and down the land do work very well together, and we’re pleased to have played just a very small part in Snuffles’ recovery. This entry was posted in Snuffle Lodge news on August 31, 2010 by clayts. Think hedgehog before you strim ! Now is the time of the year where folks get out into their gardens to tidy up their lawns. However, this is also the time of the year where many hedgehogs receive nasty injuries due to strimmers and lawnmowers. So, a heartfelt appeal to all those about to embark on lawn and garden maintenance – think hedgehog ! Hedgehogs will normally curl up into a ball when they sense danger, and that includes loud machinery such as strimmers or mowers. They will not run away, and this is when they can get sliced by us humans. A very simple avoidance tactic can be employed by everyone – check your long grass or piles of leaves carefully for a dozing hedgehog. If there’s one there, either relocate the hog or better still work around it. Sadly, many hogs which come into conflict with strimmers or mowers suffer horrendous injuries and many have to be put to sleep or spend the rest of their lives in an enclosed garden due to lost limbs or blindness. Checking your long grass should take no longer than a minute or two – please do think hedgehog before embarking on your garden toil ! This entry was posted in Snuffle Lodge news on April 18, 2010 by clayts. Hedgehogs will soon be stirring from their winter hibernation in search of a good meal and we can all help our population by leaving out dishes of white meat-based dog or cat food in jelly, dried mealworms and a shallow dish of water. Once they find a food source, these pleasant and inoffensive mammals will keep visiting you every night. The old story that hedgehogs like nothing more than bread and milk is hopelessly outdated – indeed, both cause hogs a nasty stomach upset and result in dehydration and possible death. Hedgehogs are nocturnal animals – if you see one out during the daytime it is in trouble. 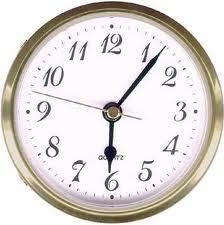 See the advice on the BHPS website for what to do when you stumble across one in the day. Also, once you’ve settled the hedgehog please do feel free to contact us on 0758 858 5991. 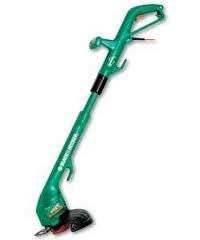 Another hedgehog warning is for residents thinking of mowing or strimming the grass in their properties. Please do a quick check of tall grass to make sure there are no hedgehogs in residence – many hogs suffer completely avoidable injuries at this time of the year. It would also be helpful to avoid using slug pellets (which are bad for birds and hedgehogs), and ensure any netting you put up is at least 6 inches off the ground, preferably more. If you have a pond, try to have a slope at one end, or add stones at one end to allow trapped hedgehogs to clamber up them if they wander into a pond by mistake (hogs are surprisingly good swimmers, but quickly tire, hence they need an escape route). For those that aren’t aware, hedgehogs are now a protected species in need of conservation in the UK, with their population in some areas falling by 50% in the last 10 years. Currest estimates suggest they could be extinct by 2020 unless humans lend a helping hand. If anyone wants to discuss hedgehogs in general please contact us. This entry was posted in Snuffle Lodge news on March 11, 2010 by clayts. One of the busiest times in the year for hedgehog carers starts now as the race is on to find, fatten up and release recently born juveniles. Hedgehogs can have two litters per year, one in early Summer and a second one in late Summer/early Autumn. The hoglets born late in the year suffer an extreme disadvantage the moment they are born by dint of the date they enter the world. Hedgehogs have to put on weight at an alarming rate in anticipation for hibernation, with experts suggesting a hog under the weight of 600g would not survive hibernation. Unfortunately, this means many Autumn youngsters fail to make it as they simply do not have enough time to eat the necessary amount of food to build up fat reserves for the winter. Thus many rehabbers will search out these youngsters in an attempt to rescue them, feed them up and (hopefully) release them before the weather really turns cold. Sometimes, however, the youngsters have to stay inside with the rehabber for the whole of the winter and only allowed to hibernate once they reach the all important 600g weight. It’s a busy time for all hedgehog rehabbers. This entry was posted in Snuffle Lodge news on August 31, 2009 by clayts. 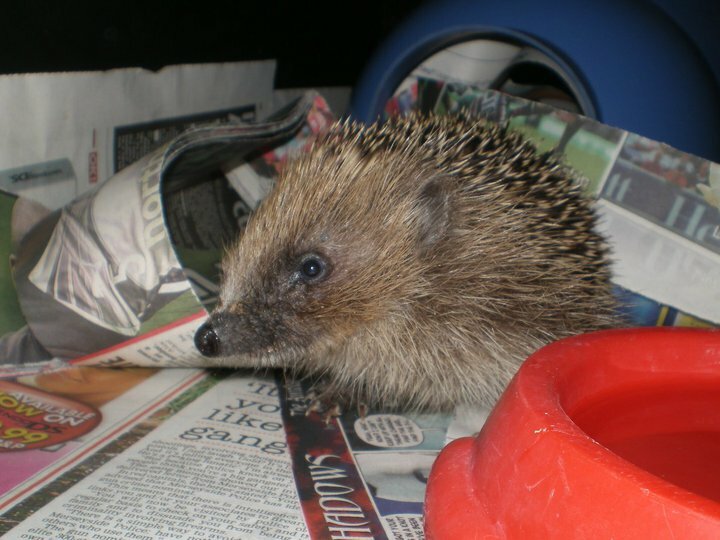 Snuffle Lodge is a sanctuary for sick, injured or orphaned hedgehogs. Established by Clayton in August 2009, the Lodge sets out to rescue, rehabilitate and release wild hedgehogs which need human help. This entry was posted in Snuffle Lodge news on August 29, 2009 by clayts.